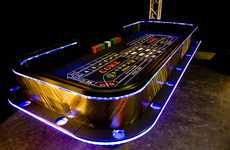 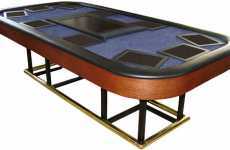 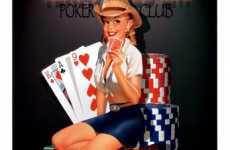 Bring the casino home with this Texas Hold 'Em Video Tournament Table. 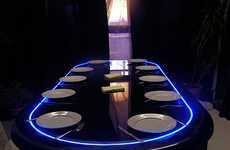 Available on Hammacher Schlemmer for $65,000, you can capitalize on up to eight of your dinner guests. 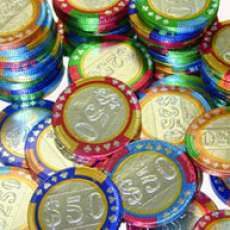 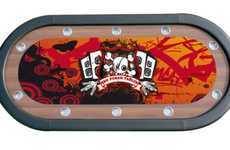 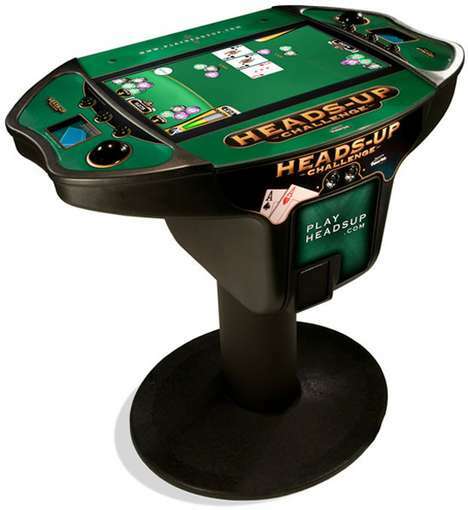 Equipped with an LCD screen, this poker table deals up a fully-simulated round of the gambling game. 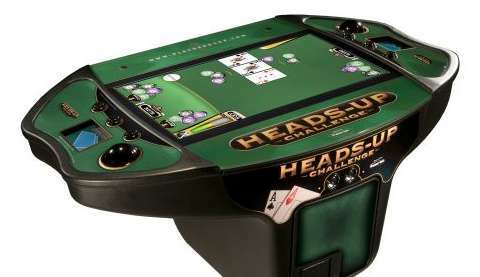 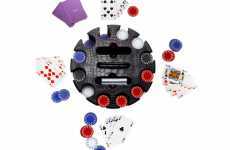 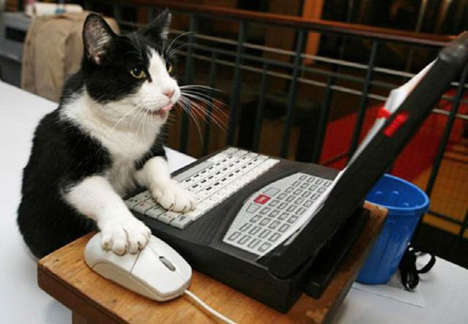 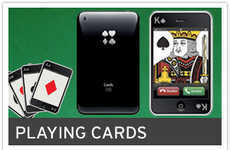 From the cards themselves to the shuffling and chip-chinking sounds, this tournament table will even announce the night's winner and record your victories.